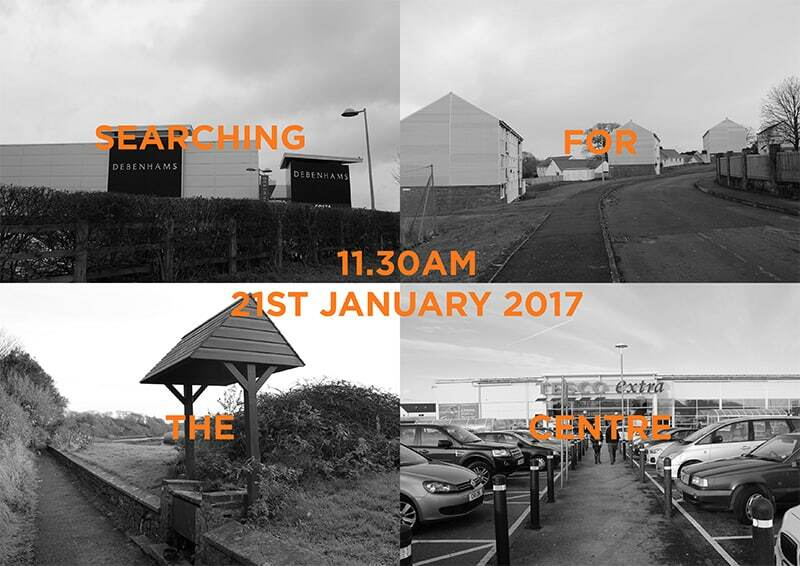 I wondered to myself ‘How can a centre be discovered when it no longer seems to exist?’ and ‘Why go in search of the centre of Haverfordwest?’ Even my mobile phone struggled to find something to connect to as it searched for a signal. Modern technology, I realised, might not be any more suited to finding the centre of the town than looking into it’s past. With this in mind I decided to look at the history of Haverfordwest. During my research I came across an image of Emmeline Pankhurst standing on the roof of the Mariners Hotel entrance. I found that the suffragettes had stayed at the hotel, targeting Pembrokeshire because it was a progressive place where they might win their first seat. The photograph shows Pankhurst holding court to a crowd of hundreds packed in the street beneath her, a moment in time taking place in the centre of Haverfordwest. I went into the Mariners Hotel and struck up a conversation with the receptionist. There was no sign of the historical events that had taken place and when I asked her my usual questions she replied ‘It’s a bit embarrassing, guests go off for a walk and then soon come back and ask me ‘Where’s the Centre?’ I don’t know what to say’. Having realised that women had such a strong history in the town I found myself looking at archive material, clothes and paintings at Scolton Manor and Pembrokeshire Archives and made another significant discovery; the Llangwm fisherwomen. Photographs showed serious looking women in street scenes of Haverfordwest in the 19th & 20th Centuries. The women held baskets and were dressed in a distinctive style that didn’t seem to change much over time. I learnt that the women walked or travelled by donkey to the town centre along the river to sell cockles, mussels and herrings caught further up the river. They probably sold these at the fish market on Dew Street. As a result they were strongly connected to the river and had a unique relationship to the centre. Back at Scolton Manor, the collections officer took me up into the attic of the building and we searched out boxes, hidden for many years, filled with costumes contemporary to those worn by the Llangwm women. As we pulled out hand sewn scarves, woolen skirts and jackets and laid them out to look at I was struck by the functionality of the clothes and stirred by the hard lives and physical work they seemed to conjur up; I felt the existence of people who needed to be at the centre of the town to make their living. I considered their presence in a modern day context, acting as a metaphor for current feelings of loss, emptiness, entanglement and being lost. As they carry their baskets they could transcend time and help us to think about what the future might hold. 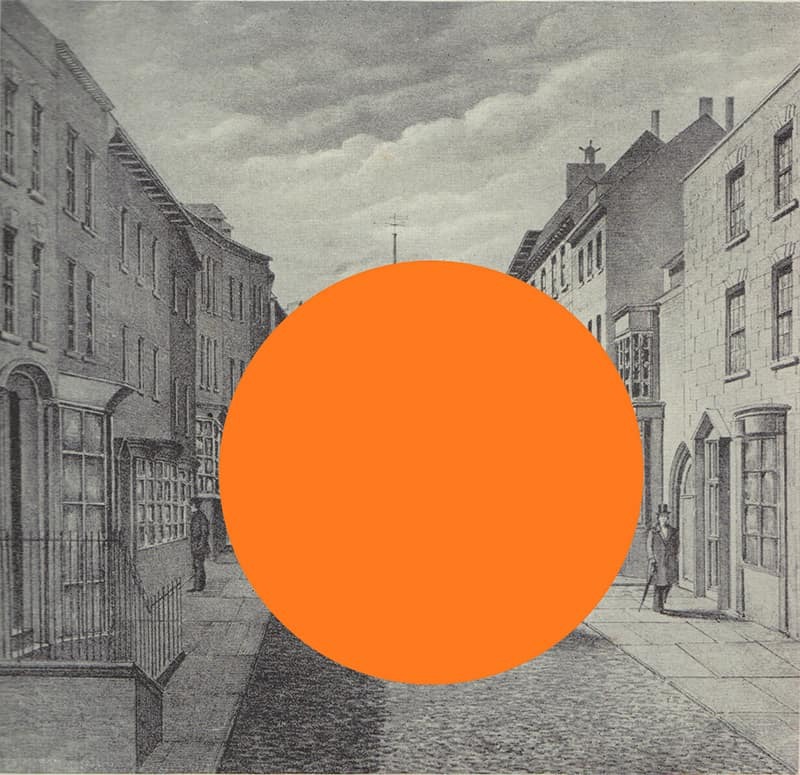 ‘Where’s the centre, please?’ is a culmination of these ideas and experiences. On the 21st January 2017 four women wearing traditional clothes worn by the Llangwm fisherwomen will enter the town from four different locations. Each woman will ask the public for directions to the centre and if they seen anyone who looks like me? Based on these simple instructions the women will walk to where they have been guided by the public. If when they reach the location they meet with one of the other women they will join forces. Either way the women must keep on the move, asking people for directions to the centre until they have all met up in one place… the centre? 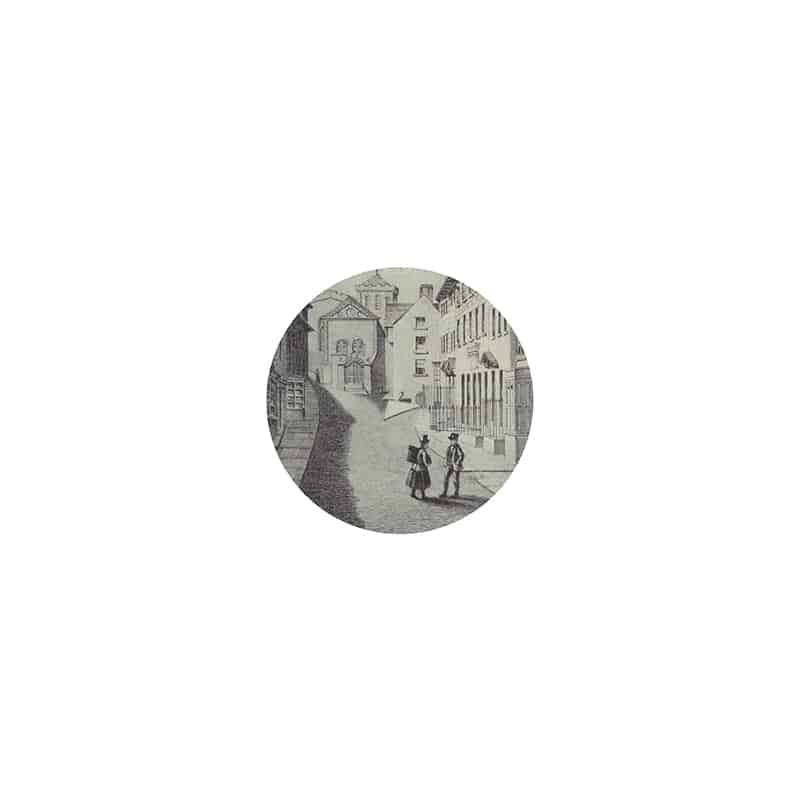 The four starting locations all lie within one mile of the town and symbolize how the centre has changed over time. In the north the Withybush Retail Park, near Prendergast, was historically where the Welsh stayed before entering ‘Little England’. Today “out of town” department stores dominate the landscape here. Similarly, Tesco Extra in the south has fundamentally changed the way in which the town operates. Nearby Dew Street was once full of small inns, workshops and daily markets but is now characterised by parked cars, moving traffic and struggling small businesses. In the east is Higgons Well, located on the banks of the River Cleddau. The Llangwm women, who were of Flemish descent, would have entered from this direction. For many centuries following the river into town was a traditional way to enter the centre. The well here dates back to mediaeval times and is reputed to have never dried up. West of the town lies the Hive, a youth community group working with some of most vulnerable young people in the area. The centre reminds me of the aims of the commission brief ‘to investigate the deeper emotional values about place that goes beyond the physical, commercial and economic drivers for change’. This principle is at the forefront of my practice. Starting off from this location is an important comment in acknowledging the social economics of the town. 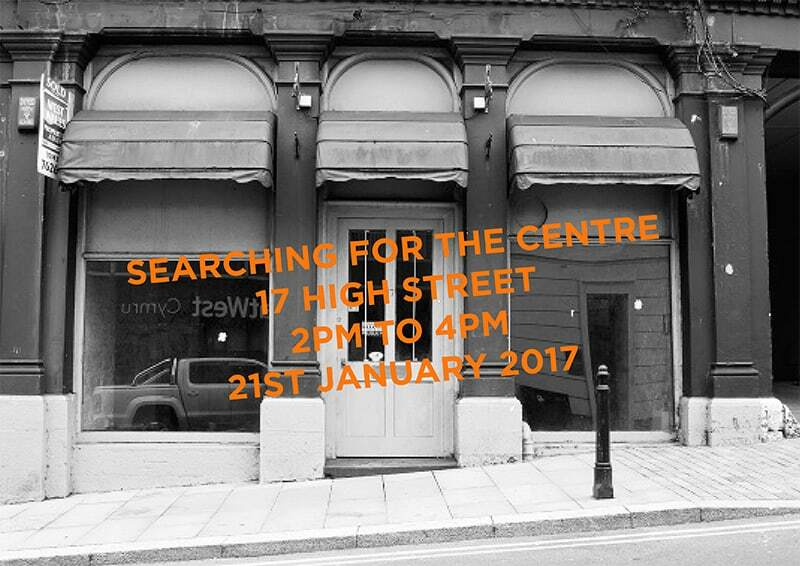 The performance will culminate in an artist’s talk and discussion inside an empty shop half way up the High Street. After walking one day from the generic stores of Withybush Retail Park I entered the town over the Old Bridge, across Swan Square, along Bridge Street and up towards the tall buildings of the High Street. The sun was shining, and the old boarded up buildings stood out. A film of dirt covered many of the windows and the contrast with the clean, modern and shiny offerings ‘out of town’ seemed very stark. A wave of sadness hit me. It occurred to me that the heart of the town has so much more to offer, so much more potential and so many more dimensions that have yet to be realised. There seems so much opportunity for creativity and imagination in the centre, while the out of town retail park is already at the optimum of what it can provide. Art can contribute towards a cultural currency inspired by Haverfordwest’s unique architectural and historical significance, whilst acknowledging the inequalities and harsh realities people face. I trust if there is momentum people will create a centre worth searching for.